It is a warm Friday afternoon in late April. I am sitting in a coffee shop having a conversation with an excellent teacher. He tells me to see a film called Under the Skin that’s just opened at the local Cinemark. I add it to the top of my ever-lengthening mental list, and on the following Wednesday, after finishing my last day of classes before break, I catch a bus to the theater. Two hours later I leave that dark room and step outside. Rain starts to fall as a fog rolls in. I’m waiting for the bus back to campus, my hair slowly dampening on my forehead, and I realize something is off. Nothing outside the theater has changed, but the world itself seems different somehow. 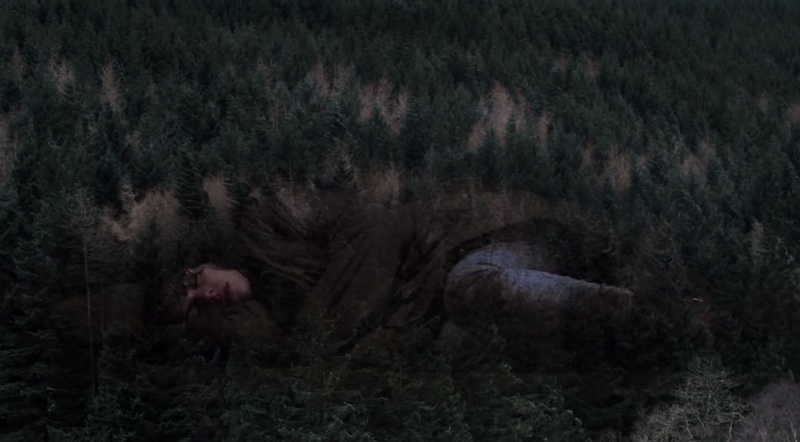 For the first few minutes of Under the Skin, I had no idea what I was looking at or what was happening. Bursts of light and indecipherable imagery filled the frame as a voice practiced consonants over the score. As an opening sequence, this sets a structural precedent for the rest of the film. You won’t necessarily understand everything that happens in Under the Skin, and that’s okay. It is clear that the movie exists within director Jonathan Glazer’s striking surrealistic imagination. Everything that transpires in Under the Skin is left unexplained. Glazer makes the daring choice to imply much of the story, never fully revealing which events are to be interpreted literally. Like the subjects of his occasional Kubrickian tracking shots, certain subtle storytelling threads effuse naturally into clarity while others defy comprehension. Mica Levy’s glowing, alien score, a mix of viola and synth that can be both beautiful and beautifully cacophonous, perfectly immerses the audience in the film’s initial moments. The music then acts as an omniscient narrator, abstractly vocalizing the main character’s thoughts. Organic and artificial strings swell in and out to match the sincerity of the mysterious protagonist’s emotions. Drums resound with an unnerving quietness at each onscreen turn towards the sinister. Daniel Landin’s gorgeous cinematography and Paul Watts’ razor sharp editing keep the more overt narrative breaks visually compelling. The screen is sometimes bathed entirely in red, or stripped down to chilling blue on black. Bookending these color stabs are simpler scenes that are just as evocative. Some of the film’s most disturbing images are also its simplest and briefest. Barely lingering shots of an overwhelming sprawl of forest, or an abandoned baby screaming on a lonely beach, are utterly terrifying. More shocking still are those moments captured unbeknownst to the public. Multiple scenes were filmed with hidden cameras, and Glazer maintains an objective gaze through every lens. The entire production underlines the film’s voyeuristic feel. Witnessing the day to day activity of an unscripted environment, when juxtaposed with the darkness of the written subject matter, is especially jarring. This secretive approach makes every shot feel thrillingly alive. The camera seats the viewer behind the eyes of another. The audience becomes vicariously extraterrestrial. It helps to have an actress at the helm who can carry such avant-garde trappings with subtlety. Scarlett Johansson does just that, delivering the finest performance of her career. As the only Hollywood player in the film (the rest of the cast are non-actors), she is always under the spotlight. And she astounds as she captures every nuance of the outsider she portrays. She skitters effortlessly across the emotional spectrum; try not to feel chills when her face melts from seductively feigned friendliness to hungry frustration. Her eyes will pierce your skin. Johansson’s unnamed alien drives around Scotland in search of lonely men. The cameras follow her focus as she offers passing glances to random pedestrians. In a deeply affecting character arc, this mysterious gaze shifts from predatory to empathetic as the alien stranger begins to understand and assimilate with humanity. 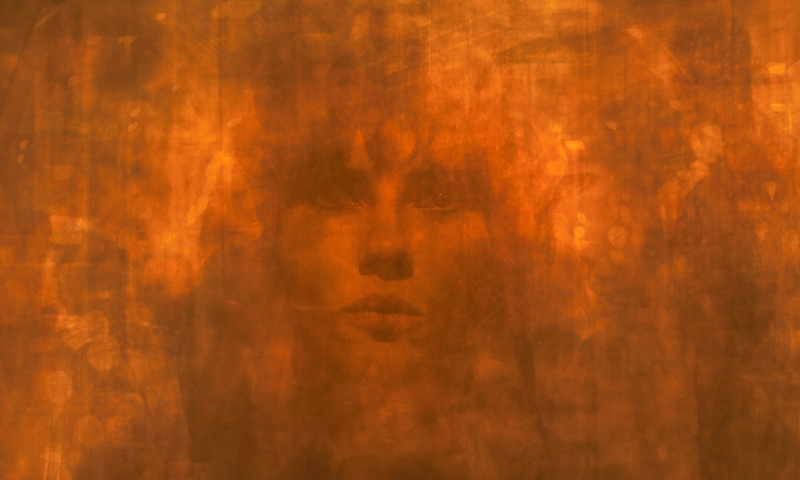 Perhaps the most heartbreaking facet of Under the Skin is its subtextual treatment of the female experience. More than just revealing humanity from an inhuman gaze, Glazer reflects on an unfortunate truth of modern society. As an alien begins to assume her humanity, and especially her femininity, she is forcefully robbed of her agency. The inclusion of that subtle commentary adds a sobering emotional gravity. 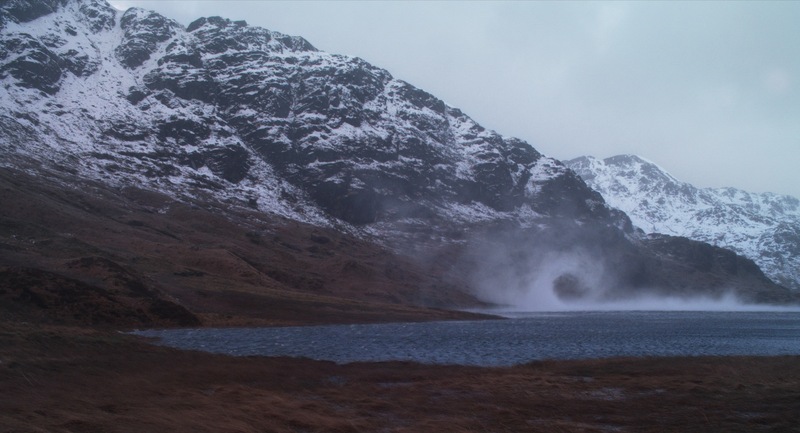 Under the Skin is an entrancing film. Glazer fills his canvas with often purposefully bizarre compositions, but the film always feels achingly organic. This is an enlightening work of art. For 108 minutes, my eyes were magnetically fused to the screen, my mind and soul arrested, frightened, and awakened. I walked out of the theater in sheer awe. It has taken me two and a half months to process this film, and I am ecstatic to finally return to it. Under the Skin hasn’t just stayed with me. The film is in me. It has changed me.